Despite recently discovered Wi-Fi vulnerabilities like KRACK Your Wi-Fi Connection Isn't As Secure As You Think Your Wi-Fi Connection Isn't As Secure As You Think The WPA2 encryption security protocol that protects your Wi-Fi connection has a flaw. This is a potentially catastrophic vulnerability that could adversely affect almost anyone connected to the internet. Read More , the odds of your password being compromised in real-time by a hacker are incredibly small. Almost all password hacks come through two sources: brute force attacks What Are Brute Force Attacks and How Can You Protect Yourself? What Are Brute Force Attacks and How Can You Protect Yourself? Yyou've probably heard the phrase "brute force attack." But what, exactly, does that mean? How does it work? And how can you protect yourself against it? Here's what you need to know. Read More (whereby an attack hits your account with tens of thousands of password combinations in the hope one works), and database hacks (when a company’s database of user data is breached). Either way, unique passwords makes you more secure. A strong password like gW$4*9Ps£7! is much harder for a brute force attack to break than ILoveMyDog123, and using a series of unique passwords means all your other accounts will still be safe in the event of one compromised account. LastPass is well-known for its password generator LastPass Users! Do This to Ensure Your Passwords Are Rock Solid LastPass Users! Do This to Ensure Your Passwords Are Rock Solid Using the same weak password for all of your accounts is a recipe for disaster. Fortunately, LastPass has a feature that will guarantee strong, unique passwords for all of your accounts. Read More , and there are plenty of other online tools How to Generate Strong Passwords That Match Your Personality How to Generate Strong Passwords That Match Your Personality Without a strong password you could quickly find yourself on the receiving end of a cyber-crime. One way to create a memorable password could be to match it to your personality. Read More , but did you know you don’t need either? There’s a tool built right in to Google Chrome. Type chrome://flags in the Omnibox and press Enter. Scroll down to Password generation. Select Enabled from the dropdown box. Now, every time Chrome sees a password field on a site, it will automatically suggest a random password in a drop-down menu. You can use it whenever you change your password or make a new account. Make sure to make a note of the password on a piece of paper or in your password manager. 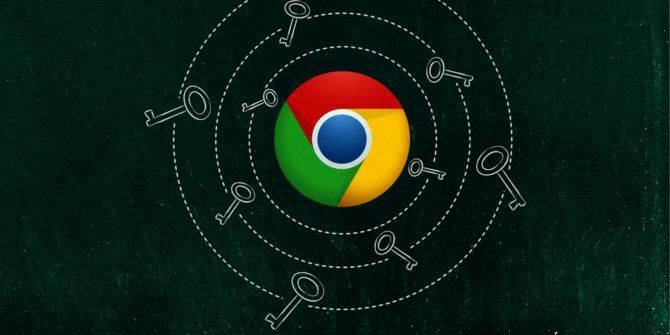 Don’t save it in your browser — Chrome’s native password manager is not as secure as services like LastPass 5 Best LastPass Alternatives to Manage Your Passwords 5 Best LastPass Alternatives to Manage Your Passwords Many people consider LastPass to be the king of password managers; it's packed with features and boasts more users than any of its competitors -- but it's far from being the only option! Read More . Have you used Chrome’s automatic password generator? Let us know in the comments below. Explore more about: Google Chrome, Password, Password Manager.